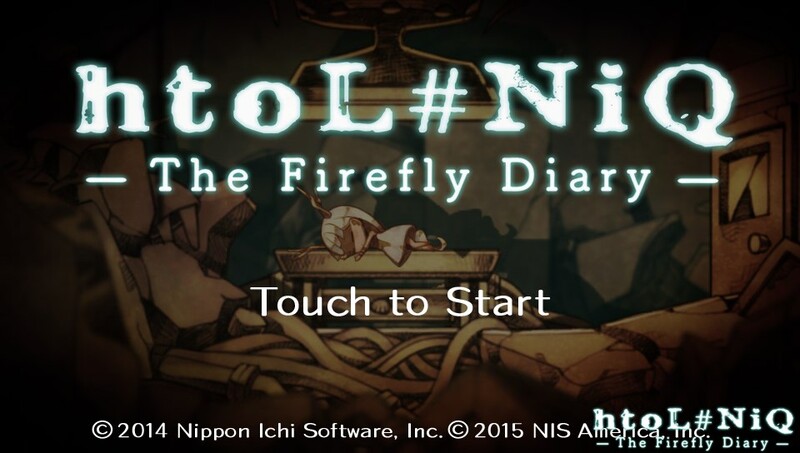 This oddly, and redundantly, titled Vita puzzle platformer htoL#NiQ (Hotaru no Nikki- which translates to "The diary of the firefly") The Firefly Diary, takes place in a futuristic world that is both beautiful and oppressive. 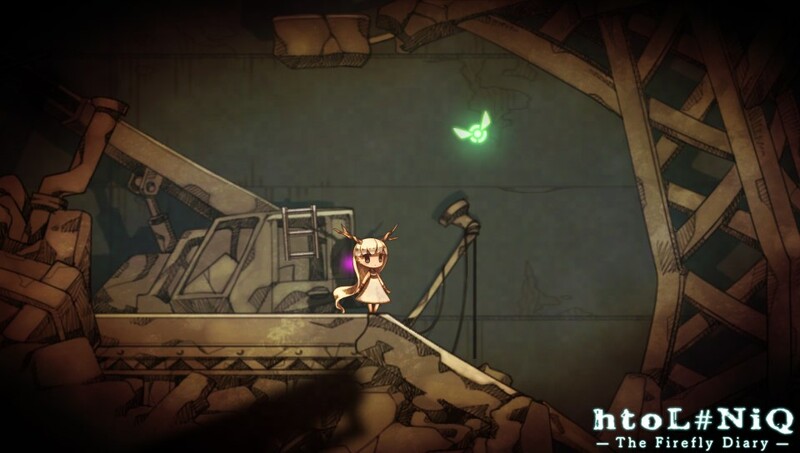 An amnesiac girl awakens with no memory, and is guided on her journey through this post apocalyptic, heavily industrialized wasteland by a little firefly. 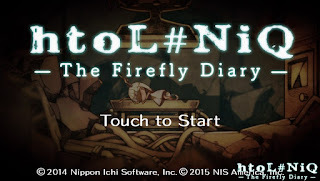 You control the firefly by way of the touchscreen, and must use the firefly's relative position and direction to guide Mion, the amnesiac girl, around obstacles, up and down platforms, and away from shadow creatures. 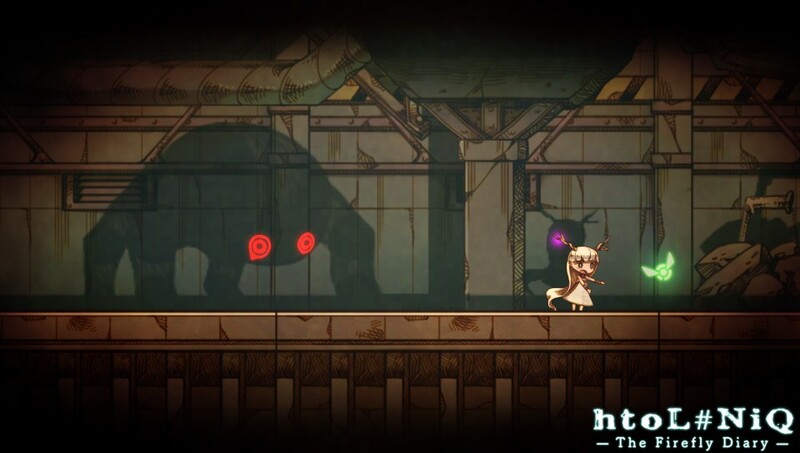 The game also makes use of the Vita's back touchscreen by allowing you to tap the screen to go into the shadow world. While in the shadow world, you control the shadow of the firefly to travel through the shadows and interact with any other creatures or mechanisms with a glowing purple light. 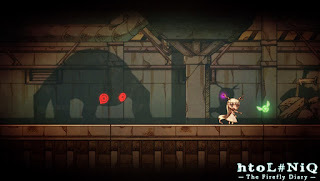 Generally if you find yourself stuck in any given section of a level, it is best to have the firefly tap Mion and have her sit down, then enter the shadow world. 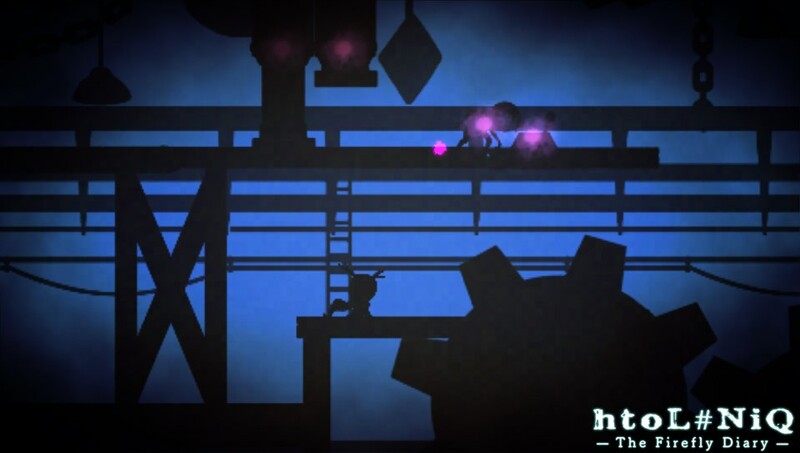 While in the shadow world, you use your finger on the back touchscreen to work your way around the screen, searching out points of interest (such as levers to activate or modify the course of machinery). This is often where the solution to the not so obvious puzzles can be found. You will die. A lot. Mion is very fragile, and shadow monsters and industrial machinery aren't known for their gentle nature. Sometimes you will die just because Mion falls a little too far. Sometimes, it will be because you were not able to move quickly enough, or you accidentally guided Mion in the wrong direction. You will get frustrated, just try to be patient. Most of the puzzles can be overcome by just taking a breather, as mentioned above, and just looking around the screen. See what you can interact with, and how you can affect what is going on around you. The game can become repetitive if you marathon it, and it is very disheartening to watch your adorable little charge repeatedly fall to her death and be crushed by hydraulic presses. Taken in small bites, it is a satisfying bit of puzzle platforming, and it has a lot artistic similarities to A Rose in the Twilight. It's original, and has a lot of charm, but I do wish that the game had a bit more music to enhance the experience, as it is usually just sound effects. They create a more ominous tone, and I suppose it lends itself some realism to the atmosphere...but some some soft piano and violins would have been very fitting, and may have helped ease the tension in some of the more frustrating sequences. Remember to come back tomorrow, as we start our seven day countdown to Halloween!